The 2019 Subaru WRX sedan. Our engineers are never satisfied. Always improving, always advancing. Proof is the 2018 WRX. They tweaked the sport tuned suspension to give you 20% less body roll while cornering. Next they stiffened the unibody by over 40%. Two engines are available...a268HP 2.0-liter turbo is standard, and a 305HP 2.5-liter turbo is optional. The WRX brings a new level of comfort and refinement to the sport sedan. Although the WRX is a capable track-day vehicle, it works equally well as a comfortable commuter car or weekend errand runner, thanks to its large trunk and 60/40 split folding rear seats. 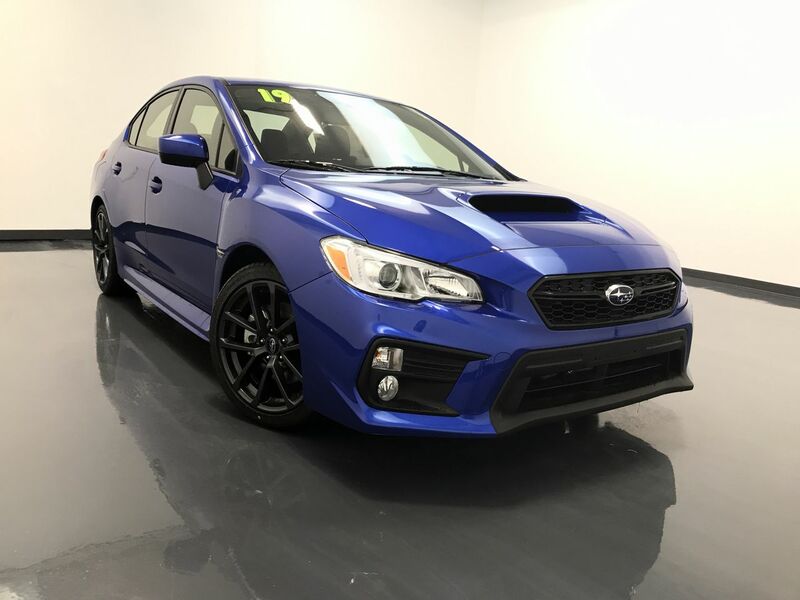 This Subaru WRX PREMIUM has a six-speed manual transmission and rear deck lid lip spoiler, as well as the optional all-weather floor liners and trunk/cargo tray. Subaru. Built to enjoy. Built to last. It’s why 94% of all our vehicles built in the last 12 years are still on the road today. It’s Subaru.